Who are these Mas Locos? Norawas De Raramuri is only composed of volunteers who have at heart the values and well-being of the native families of the Copper Canyons. All the funds we gather go directly to the communities in a spirit of inclusiveness and sustainable development. We do not see ourselves as providers of outside help. What we bring to the Barrancas, we do humbly, always addressing the Raramuri as true equals. We are merely messengers, sharing the good will, respect and friendship from Running People the world over. We come from different countries and have different backgrounds, but are united by the spirit of Korima. Norawas de Raramuri would not exist without the determination and the dreams of Micah True, known to the world as Caballo Blanco. By reaching out in respect and friendship to the Raramuri, Micah created a bridge solidly rooted between Running Peoples, in and out of the Copper Canyons. Our values, actions and goals all aim at honoring Micah's memory and upholding his beautiful vision. Growing up in the farmlands of Indiana, brought appreciation for the blessings of family, community, and honoring the bountiful gifts from Mother Earth. Raised with six brothers, running brought a sense of freedom. My family encouraged me to follow my passion of servitude with humility and grace.As a Marathon Coach, I’ve had the joy of making a difference in the lives of others, one step at a time, as we celebrate this magical journey across the finish line, while raising funds for medical research to find a cure for blood-related cancers. In 2009, a group of dedicated athletes established a U.S.-Based Non Profit, Norawas de Raramuri (Friends of the Running People), to encourage the running traditions of the Tarahumara/Raramuri families of the Copper Canyons of Chihuahua, Mexico. Through the opportunities gained from their sponsored events, the communities are encouraged to run free, and sustain one another through agricultural, educational, and nutritional support. In 2002, through the simple dreams of Micah True, El Caballo Blanco, an Ultra Marathon foot race was created, to unite the running cultures of the Tarahumara Indigenous Indians, Mexican Nationals, and International athletes worldwide. My sincere love for the music of Mother Earth, community, and poetry strengthens my spirit every moment I run. Michael Miller is a long-time Mas Loco and a personal friend of Micah. With his extensive experience in business and marketing, he brings financial expertise and creative ideas to Norawas. His generous heart and compassion and his true love for all things running connect him with the Raramuri as well as with all the Running Peoples of the world. Luis Escobar is a professional photographer, distance runner, race director from Santa Maria California. 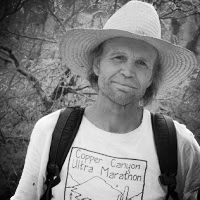 "In 2006, I was fortunate enough to participate in the very first Copper Canyon Ultra Marathon. Like so many, I became friends with Micah True. Today, I am excited to be part of Norawas de Raramuri. Working together to continue the work of Caballo Blanco." Mas Loco, long distance runner, backpacker, writer, and overall hedonist who discovered great truth in the words "Run Free" and felt a personal call when Micah True said, while running the trails of the Mexican Copper Canyons, "We are messengers". Friend of Micah True, Mas Loco and Race Director for Fuego y Agua Endurance. Josue lived in the Copper Canyons as a missionary kid and organized the Ultra Caballo Blanco with Maria Walton after Micah passed in 2012. Tom helps facilitate Leadership and Emotional Intelligence classes at Seattle University. His world got turned upside down when he read Born to Run and he learned to run pain free for the first time in his life at the age of 42. He has run the Caballo Blanco Ultra twice and is forever grateful for the inspiration of both Micah True and the Raramuri people. Crista Scott is a researcher in Sports Psychology, Ultrarunner, Writer and Creator of DirtbagRunners.com. She hopes to encourage others to spend more time in nature, and is currently in the process of publishing an article on the benefit of being outdoors. She loves trail running, cooking, traveling and finding new mountains to climb. She lives in Southern California and is currently training for her first 50-Mile race. Amanda is a crunchy Southern girl who is unabashedly drawn to adventure and awesome people. Amanda met Micah and Maria in Austin in 2009 and found a tribe of kindred spirits in the Mas Loco family. Ever since, Amanda has been immeasurably enriched by the joy of being part of a community that understands the drive to do hard things and the importance of compassion and respect.